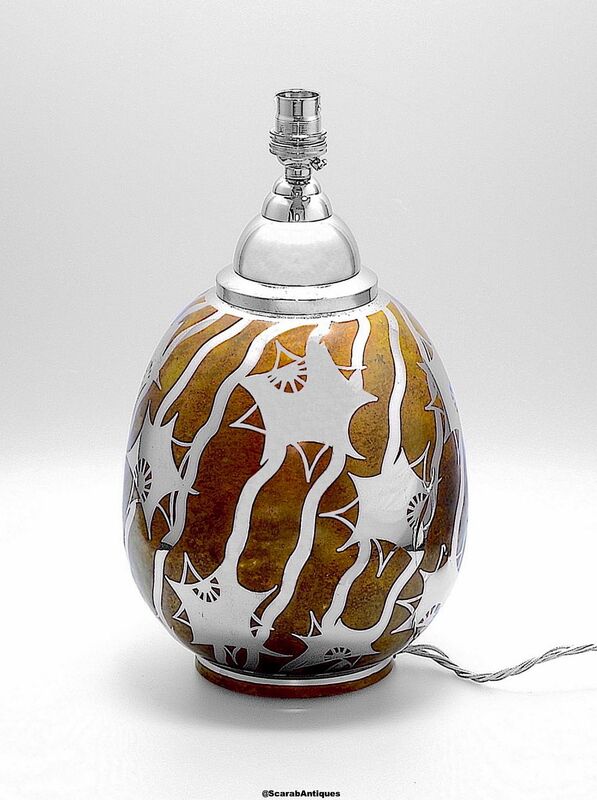 This is a lovely dinanderie lamp. Made during the Art Deco period & probably in France it is probably made of copper that has been enamelled then overlaid with a geometric pattern in chrome. Please note that this lamp has a 3 square pin plug and is wired for the UK system. Please check whether this is compatible with your system before purchasing as returns will not be accepted and refunds will not be given if there is an electrical incompatibility problem.